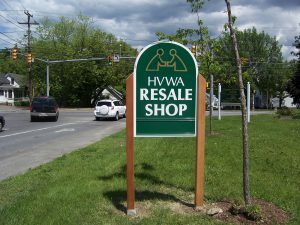 Shopping at the HVWA Resale Shop is fun, economical, and a great way to find unique treasures. The proceeds from the store support compassionate end-of-life care, grief support, and education to the Central Maine area. The Resale Shop features gently worn clothing, jewelry, furniture, household items, collectibles, books, and DVD's. New merchandise arrives daily and is organized so that you can find what you are looking for. Our volunteers are always available to answer questions. We are located at 304 Main Street, Waterville, Maine 04901. Our phone number is 873-3615 or we may be reached at hospiceinfo@hvwa.org. Saturdays on occasion 9:00 am to 1:00 pm (will be announced in the Morning Sentinel). What we love to receive! We do not accept TV's that are not flat screes, soiled mattresses, or anything that we have to feed.